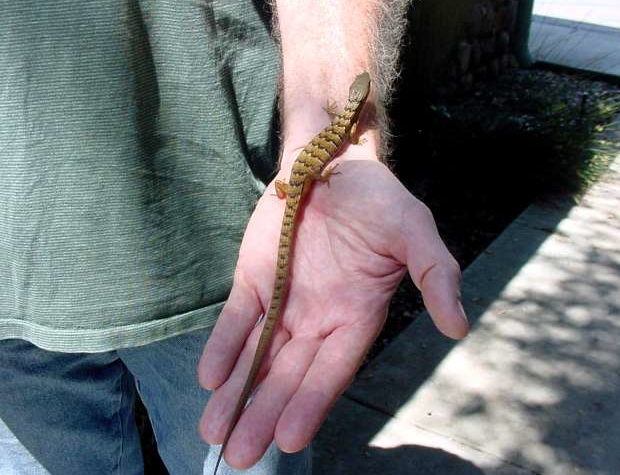 The largest lizard in our area, it can reach a length of about one foot. The scales are smooth and shiny, the body grayish with darker narrow crossbars. 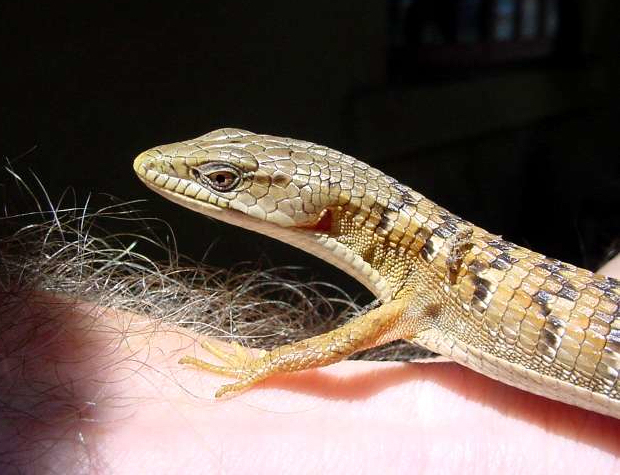 A secretive lizard of cooler, damp areas, it can sometimes be seen basking on trails. Note the zigzag pattern of bands on the back of this juvenile.